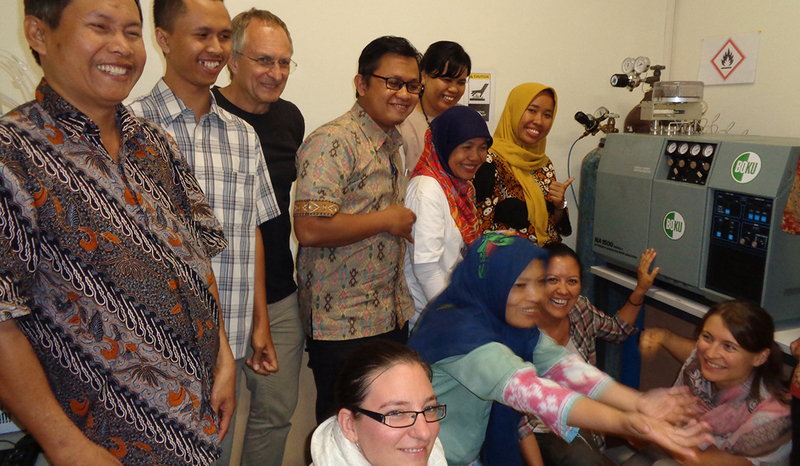 As a part of longstanding collaboration between Universitas Gadjah Mada (UGM) and BOKU Vienna, an elementary analyser from Institute of Soil Research has reached its final destination in Yogyakarta, to be a part of instrumental analytical devices to be used by several institutes. Elementary analyzers are used for geo-sciences related studies, determination of carbon stocks in soil, process optimization and control of bioreactors and raw protein determination in food technology. The Carlo Erba NA 1500 instrument, the best of analogue instrumentation, had been in use at BOKU’s Institute for Soil Research (IBF) for more than two decades and now became transformed with new interfaces to the digital world. It now combines all features of modern software with retro-look. This was made possible with passion and ambitions from two service engineers Anton Cech (Thermo Scientific) and Andreas Kitzler (Agilent Technologies Austria). The donation was made possible through the support of BOKU Vienna Rector Hubert Hasenauer, Univ. Prof. Dipl.-Ing. Dr.nat.techn. and IBF with the help of Margarita Calderón-Peter and her team from the Centre for International Relations as well as, by Andreas Kitzler, Agilent Technologies Austria. 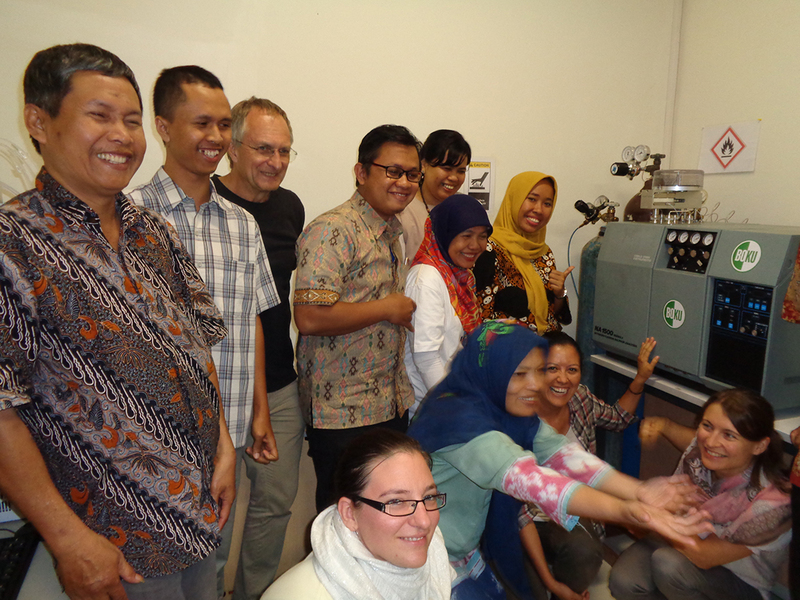 A training course for the Indonesian colleagues, was set up by a team from the Institute of Soil Research (Katharina Keiblinger, Elisabeth Kopecky, Axel Mentler), technician Anton Cech (Thermo Scientific) and Rosana Kral (Centre for Development Research, CDR). The course was held for two departments of the Faculty of Agricultural Technology at Universitas Gadjah Mada (UGM), for the Department of Agricultural Biosystems Engineering and for the Department of Food and Agricultural Product Technology to provide the knowledge how to use the elementary analyzer for their research work. Co-supervised students of Katharina Keiblinger (IBF) and Rosana Kral (CDR) are already making use of the instrument for their research activities with Indonesian collaborators at the Department of Agricultural and Biosystems Engineering, continuing BOKU’s longstanding collaboration with UGM, Yogyakarta. The actions were part of joint activities with BOKU’s partner university UGM that were funded by the ASEA-Uninet Programme and the Erasmus+ teaching mobility programme.